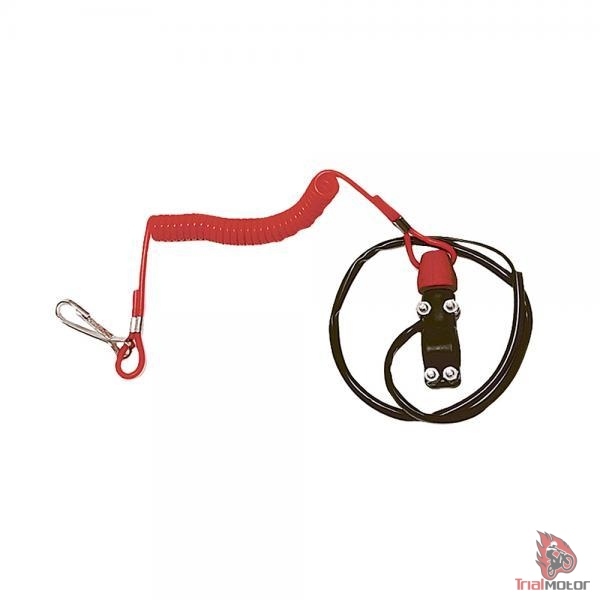 The Jitsie kill button with lanyard is a must have safety item for every trials riders. The top part of the kill button is attached to the flexible lanyard and can be attached via the strap to the rider. In case of a crash, the lanyard disconnects the cap from the kill button so the engine stops running.